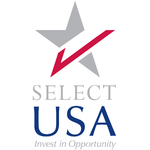 The USA Investment Center is the joint pavilion of the US Government's official investment support program, SelectUSA, and its state and regional economic development partners. It is the central point of information and contacts for all companies at the IAA to learn about opportunities and assistance available to establish or expanding a business in the United States in the automotive or related sectors. All companies interested in learning more and establishing contact with our team of experts and representatives of the U.S. Government and state and regional economic development organizations are encouraged to register with us. Guidance and counseling on all aspects of business establishment and expansion in the United States. Providing objective market economic and sector specific information relevant to legal, financial, fiscal and supplier/customer chains as well as infrastructure and clusters in the United States. Assistance with understanding and applying for the appropriate business travel and work visas. Overview of financial and other forms of support available to foreign companies to build their business in the US. Contacts to state and local economic development organizations and to federal regulatory agencies which impact business development. Services are offered without charge. Individual counseling and market overviews available. Contact to companies, especially those exhibiting or visiting the IAA Commercial Vehicles show who are already doing business with the United States and and are seeking to growth there through establishment or expansion of operations there. Tilting mechanisms, hydr., mechan., pneum.